To all our chessfriends and colleagues wherever you are or whoever you are, have a pleasant Christmas and a successful and healthy 2013. 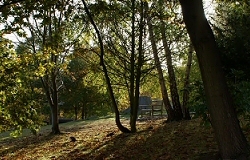 'Dull November brings the blast, then the leaves are falling fast' - Sara Coleridge. ... is typical of the generally poor profile that November has in literature and the public imagination but once again the start of the new 4NCL season was greeted by a beautiful crisp bright November day. And as ever we travelled with eager anticipation ready to play our part in the greatest chess league in Britain. Additionally this was an excellent opportunity to catch up on old friends, some not seen since May, and a welcome chance to fill in mutual progress in ailments, medications and ... [...Read more]. William Shakespeare, James Joyce, Andy Smith and Fred Reinfeld are just some of the famous Spirit of Atticus players to have put pen to paper. They have now been joined by Nick Ivell in the October 2012 issue of CHESS magazine with Learning to Love the Endgame - Nick Ivell teaches the Vancura position. Bravo! - JC. Download a PDF sample from the Oct issue. Unfortunately it doesn't include Nick's article but take a look anyway. On 4NCL: Now that the draw for the first seven rounds is available the Sp. of Atticus teams for the first two rounds will be announced in a couple of days. 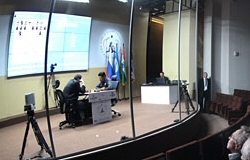 Boris Gelfand beat Rustam Kasimdzhanov, Veselin Topalov outplayed Anish Giri with black, while the previous tournament leader Shakhriyar Mamedyarov settled for a draw against Peter Leko. This left three players tied for first, with 7.0/11 points each, and although Topalov had the highest tiebreak the official tournament report calls all three winners. The FIDE Grand Prix organised by AGON has started at Simpson's-in-the-Strand, London. Late information and unusual website arrangements, by design or by accident - who knows, has resulted in a muddled beginning to the 2012/13 World Championship cycle. Nonetheless 12 players (average rating 2739) have arrived suited and booted to play for a prize fund approaching 170,000 �� (Euros). Favourites are probably Ivanchuk and Gelfand but behind the scenes deals, not unknown for such high profile events, could mean just about any outcome is possible. Previously announced rest days have been changed but the schedule until yesterday failed to say what the new dates were. All very confusing. 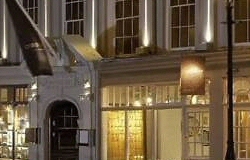 Largely because of space restrictions, spectators are not allowed into the chosen venue despite the availability of a plethora of top ranking alternatives in central London. Well done to Spirit of Atticus player Andy Smith for winning one of the three £50 best game prizes in the 4NCL's 2011/12 competition. Judge Paul Littlewood awarded the prize for Andy's 'imaginative' win against Paul Girdlestone (Brown Jack) during round 6 at De Vere Sunningdale in February 2012. Andy has been a game inputter at the prestigious Gibraltar Masters and is a highly original player. He holds the FIDE Master title and is currently rated 2194. He has organised some Lewisham Congresses and often writes on chess. He was captain of the Jersey team in the 2006 Olympiad. Svetozar Gligoric has died in his home city of Belgrade at the age of 89 as a result of a stroke. Born Belgrade February 2nd 1923 died 13:30pm 14th August 2012. Gligoric was a three time World Championship Candidate in 1953, 1959 and 1968 but did find these events rather tough going. 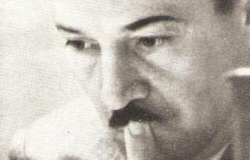 His professional career was delayed by the war but he became an IM in 1950, GM in 1951. Chessvibes - Magnus Carlsen collected six points in just two days, and is now in shared first place in Biel together with Wang Hao. On Sunday Carlsen beat Victor Bologan with Black in their postponed game, and in Monday's 7th round the Norwegian also won against the tournament leader from China. 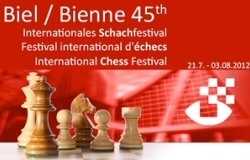 Today the Biel Chess Festival starts with an exhibition blitz tournament, to celebrate the 45 years of the festival. It's a knockout with Magnus Carlsen, Hikaru Nakamaura, Alexander Morozevich, Wang Hao, Etienne Bacrot, Pentala Harikrishna, Yannick Pelletier and Alexandra Kosteniuk. Here's a press release from July 6th. In round seven, all the games were drawn although Vladimir Kramnik pressed Peter Leko for over 130 moves. He had had a large bind throughout, but somehow the Hungarian escaped. Round eight saw Fabiano Caruana do the unthinkable by beating Kramnik in their second straight encounter. Leko beat Bartel in a French line rarely seen at the top, while Ponomariov beat Gustafsson. Dortmund is a ten-player round robin event. Draw offers are not allowed �� a game can only be declared a draw, by the arbiter, if there is no possible win for one side, or if a position is repeated three times. The winner of the tournament will be determined after nine rounds. The campaign organised by Stuart Conquest for the restoration of the grave of Johannes Zukertort (1842-1888), who is buried in Brompton Cemetery, London, has had a pleasing outcome, and the work is now complete. There will be a service of re-dedication on Tuesday June 26th at Brompton Cemetery, at 13:00. Everyone is welcome! See photos of the completed work & more. 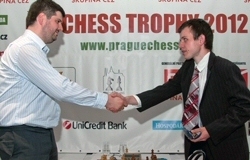 Peter Svidler defeated David Navara with a score of 3-1 in the traditional Čez Chess Trophy match in Prague, Czech Republic. 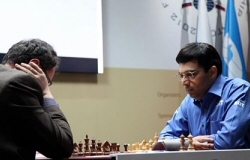 The Russian grandmaster decided the match on Saturday with a second win, and then the last game was drawn on Sunday. The event was sponsored by Čez Group, a conglomerate of companies. It took place in the Malostranská beseda in central Prague. 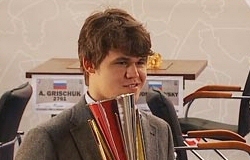 Magnus Carlsen has again won the Tal Memorial after a dramatic final round. He outplayed Luke McShane who himself could have won the event if he had won this game and the other results had remained the same. McShane's solid opening allowed Carlsen to equalise quite easily and then he subsided in time trouble after missing the key move 21...a5 in his calculations. Fabiano Caruana misplayed a Gruenfeld sideline against Levon Aronian and was quickly in terrible difficulties on the board and the clock. Aronian started "playing rubbish" in his own words but won all the same. 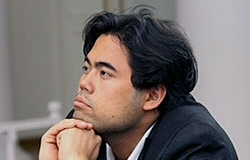 Hikaru Nakamura played a Sicilian sideline against Teimour Radjabov and this finished in a draw. Official final round 9 standings including tie-break: 1st Carlsen 5½/9, 2nd Caruana 5, 3rd Radjabov 5, 4th Kramnik 4½, 5th Morozevich 4½, 6th Levon Aronian 4½, 7th Grischuk 4½, 8th Luke McShane 4, 9th Nakamura 4 and 10th Tomashevsky 3½. The 7th Tal Memorial resumed after Friday's rest day and saw both leaders defeated by the tail-enders. This has left Carlsen, Morozevich, Radjabov, Kramnik and Caruana tied on 4/7, Nakamura on 3½, Grischuk, Aronian and McShane on 3 and Tomashevsky on 2½. Alexander Morozevich tried one too many tricks against Tomashevsky in time trouble in a King's Indian and was lost at first time control. Vladimir Kramnik seemed to be the one pressing in Luke McShane's time trouble but the Englishman had his own trumps and after first time control it gradually became apparent to the players and audience alike that it was Kramnik who had to defend. The position was very hard to calculate but in the end McShane got his win. 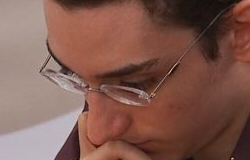 Teimour Radjabov blew a winning advantage against Fabiano Caruana and only drew. Magnus Carlsen tried to keep his quest for gold alive, but faced an equally resolved Levon Aronian who refused to be the tournament sob story in spite of his two losses. He held his ground and after a long struggle they shook hands. 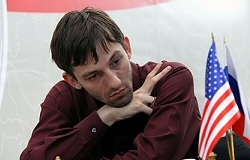 Teimour Radjabov and Alexander Grischuk also squared off in a protracted fight, but neither was able to create any momentum, and the draw came as no surprise. 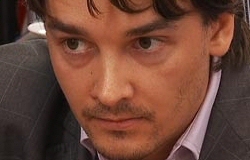 Alexander Morozevich took control of the 7th Tal Memorial Chess tournament with a dramatic victory over Levon Aronian. 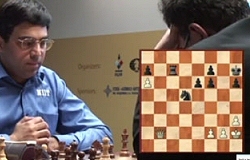 Morozevich lined up a kingside attack with black but Aronian sacrificed a piece first. Aronian's pawn centre disintegrated in terrible time trouble and he resigned on move 40. Morozevich move a point clear of the field after Magnus Carlsen scored his first win. Carlsen was allowed to equalise fairly early as black against joint leader Teimour Radjabov and then he worked his endgame magic to put pressure on and win a fine endgame. Nakamura vs Kramnik. Nakamura again didn't know old theory, Kramnik only vaguely did. They drew an ending. Caruana built up a huge advantage vs Grischuk but a careless move (He "forgot about 20.Nc7" - 19...Re8!) turned the game around. The 7th Tal Memorial returned after Monday's day off with four draws and just one win, for Fabiano Caruana over Evgeny Tomashevsky. The most exciting game was between Magnus Carlsen and Alexander Grischuk which rather got out of hand on the board and the clock for both players. Fabiano Caruana beat Evgeny Tomashevsky really rather easily in an Anti-Marshall Ruy Lopez which turned out to be mostly theory. Tomeshevsky took ages on the clock and played worse than Aronian did in 2008 in the same position. Magnus Carlsen didn't get a lot in the opening against Alexander Grischuk but got chances by allowing his bishop to be shut in. Later rather than go passive Carlsen launched a kingside attack the tested both player's calculating abilities and they repeated in quite major time pressure. Aronian 0-1 McShane An a6 Slav. McShane ate up tonnes of time early on, sacrificed the exchange in an idea he got from Topalov. Aronian was playing for complications after 14...Nc6 when he realised he was worse. McShane defied time trouble to bring home the point. Gruenfeld sideline from Carlsen that didn't go well. Caruana liquidated into a completely drawn opposite coloured endgame. 30 moves. A heavyweight Ruy Lopez Berlin, Kramnik solved his problems with an exchange sacrifice and Radjabov took a repetition that was available. Reti/Slav - messy position where Grischuk sacrificed on move 46 but had only a minute to make it to move 60 plus increment. 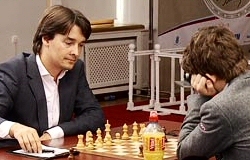 Morozevich with about half an hour on the clock found a defence and beat him. A Kings Gambit from Nakamura and he had to find tactical compensation for the two bishops. In the end they traded to a drawn ending) Full report at the end of play. Games and results updates throughout the day. Kramnik once said that the biggest lesson he learned from the elite was how resiliently they defended. 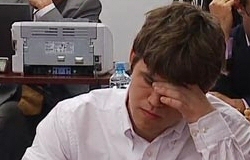 Today Carlsen showed the same gumption as he saved a nightmare position in which Morozevich had doubled rooks on his seventh. McShane cracked at move 40 against Radjabov, while Kramnik played a model game in an impressive win over Grischuk. The event is a ten-player round robin event, is taking place from June 8th to 18th in the Pashkov House (Vozdvizhenka Street 3/5, p.1), Moscow, Russia. Rest days are June 11 and 15. Time control: 100 minutes for the first 40 moves, 50 minutes for the next 20 moves, and 15 minutes for the rest of the game, with an increment of 30 seconds per move starting from move one. Games start at 15:00h local time (last round 13:00h). Draw offers are not allowed until after the first time control. Carlsen-Caruana, Grischuk-Morozevich, Radjabov-Kramnik, Aronian-McShane, Nakamura-Tomashevsky. The first round of the 7th Tal Memorial saw four wins for white and a draw in a position that had probably been winning. Morozevich 1-0 Caruana (was unclear for a long time but Caruana's 47...Bf7 stopping his own threatened Qxe3 from working in key lines was the decisive error). Carlsen 1/2 Kramnik (Carlsen missed something trivial with white in the opening, played a sharp but probably losing continuation which led to Kramnik time trouble and an eventual draw by repetition). Grischuk 1-0 McShane (Grischuk made McShane struggle right from the opening), Radjabov 1-0 Tomashevsky (blunder from Tomshevsky in a difficult position), Aronian 1-0 Nakamura (Aronian was maybe better until 16.Bh3 but Nakamura made a more serious error with 21...g5? which was punished with 22.Bd7 after which Aronian made no mistake) [... more]. Kramnik-Grischuk, Caruana-Nakamura, Morozevich-Carlsen, Tomashevsky-Aronian, McShane-Radjabov. There were both Russian and English (with Ian Rogers) commentaries available. The Tal Memorial started with a blitz tournament (3 mins plus 2 seconds extra per move) to determine the draw numbers for the players. Alexander Morozevich took the ��5000 first prize on tie-break from Magnus Carlsen (��3000) who he also defeated (on time) in their individual game. 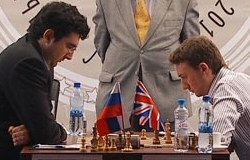 Both players scored 6½/9 a point clear of Alexander Grischuk and Teimour Radjabov. 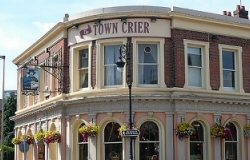 Mark Crowther: The 7th Mikhail Tal Memorial starts with its opening ceremony on Thursday 7th June 2012. They've come up with an incredibly clever idea (one which would only work in such a well financed event) of having a blitz tournament to decide the draw numbers of the players. The top 5 finishers will have more whites than black. 15:30 start UK time. We're promised high quality video and commentary so it should be well worth watching. Friday's Round 1 starts at 12pm BST. 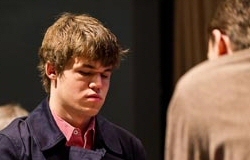 The event sees return to action of World Number 1 Magnus Carlsen after a long break in a super-strong field of Aronian, Kramnik, Radjabov, Nakamura, Caruana, Morozevich, Grischuk, Tomashevsky and McShane. Games, results and stories provided throughout the event. 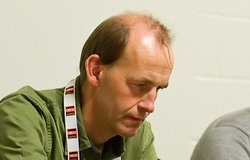 Nigel Short, Britain’s most recognisable name in the chess world, turns 47 today. 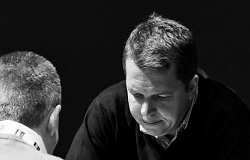 He has had a distinguished career which included a match with Garry Kasparov for the world championship title in 1993. Married with two children, in 1999 he was awarded an MBE for services to chess. Nigel is currently rated 2705 and is ranked 40th strongest player in the world. 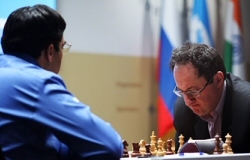 The fourth game of the tiebreak brought a tangible advantage for Challenger Boris Gelfand, who needed to win with the black pieces to stay in the match. 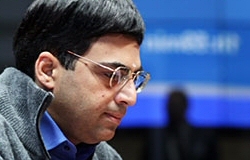 But World Champion Vishy Anand kept things under control and found a very neat solution to the problems. With a draw the World Champion won the tiebreak 2½-1½ and keeps his title. It has not been a great match, but there can be no peace, as the rules will not allow it. After a very strange game, Anand entered an endgame a pawn up, and precisely when he had an advantage and Gelfand had 15 minutes for 18 moves, they drew! This means that the classical world champion will be decided by rapid games, and possibly blitz. The twelfth and final classic game of the match epitomized this encounter in many ways. Entering the match, in spite of the World Champion’s distinct lack of form in the previous months, it was presumed that he had been saving his best for the upcoming battle and would steamroll Boris when the time came. The time came, the time passed, and the impending massacre never took place. In fact, with few exceptions, the match has been lacking not so much great technical qualities as great fighting spirit. It was the penultimate game of the match, and the last white for Gelfand. The game was a Nimzo-Indian once more, and though it ended in a draw after 25 moves, the tension came from Gelfand’s extensive use of the clock, leaving him with only twelve minutes when they shook hands. Will Anand go all out with white in the last game, or prefer the rapid playoffs? 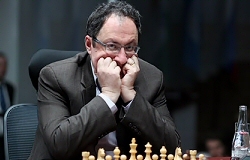 After a near defeat in round eight, Gelfand regrouped and won a moral victory in round nine. 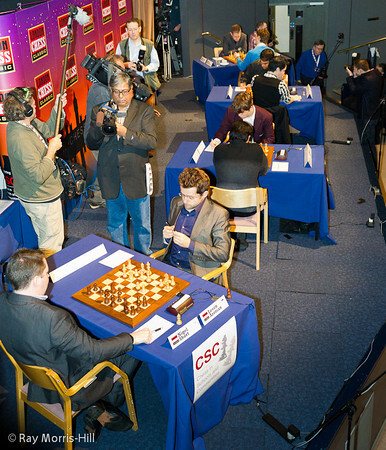 Anand stuck to his Semi-Slav, and Gelfand showed he had found a way to gain an edge once more. But despite clearly having the better chances, he was unable to manoeuvre to a win, and drew after making Anand suffer until move 49. Game 8 | Anand strikes back, wins in 17 moves! What a game, what a fascinating turn of events! 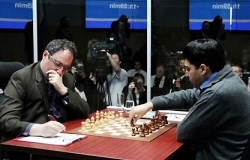 World Champion Vishy Anand shockingly lost the sixth game and let Challenger Boris Gelfand take the lead. Today he struck back with a resounding 17-move win. 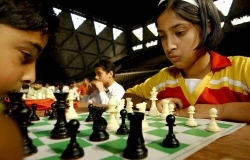 BBC News | Chess in India: Why is it on the rise? The world chess championships are under way in Russia, where Vishwanathan Anand defends his title. 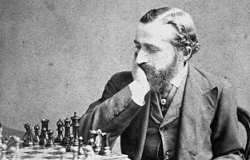 His success is widely credited for the growing popularity of chess in his home country, India, the nation widely believed to have given the game to the world. He's been described by some as the Sachin Tendulkar of chess, a role model to thousands of Indian school children and arguably one of the country's most successful sportsmen. Chess: Will India checkmate Russia? The wait wasn’t long for enthusiasts expecting the King Pawn Opening from World Champion, Anand. Playing with white in the fifth game, he opened with the king pawn for the first time in this game twelve match. The position was complex and appeared promising for the NIIT MindChampion Anand, but experts commenting on the game could not come to any firm conclusion, and only analysis by chess engines later should provide more insights into the game. The start of May saw the end of unfinished business in the form of the K.O. finals in each of the Chester and District and Wirral Chess Leagues. First up was the match against Wrexham over 6 boards on the 1st May. The Atticus team assembled in a mood of well-founded optimism [contrasting with the usual baseless over-estimation of our prospects] after the fine result in the first of our demotion pool matches. The subsequent inspirational motivational input carefully crafted by the Club Management Board also contributed to the squad reaching close to peak condition. 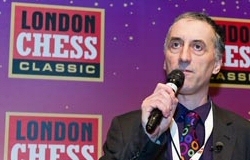 TWIC - Tournament Director IM Malcolm Pein has tweeted that the London Chess Classic will definitely take place again this year December 1st-10th 2012. The 4th edition will again be an elite 9 player all-play-all. With the prospect of relegation hanging over us, we headed, in a nonetheless relaxed frame of mind, to meet Warwickshire Select on the Saturday of the fourth weekend at Hinckley Island. This match for us was a visit to the last chance saloon, a long shot but an opportunity to avoid playing the last 4 rounds in the demotion pool of Division 2. My anticipation of a tough start to the second half of the season proved amply justified as the pressure on Chester 1 began to mount through January and February. Things started straightforwardly enough with our game against Formby. of round 7 of the 2011 London Classic. TWIC - London Chess Classic director IM Malcolm Pein says that the staging of the Candidates tournament in London October 24th - November 12th puts the viability of a prospective 4th London Classic in December in doubt. Do you want the good news or the bad news? The good news is that some more top flight chess is coming to London. Agon, FIDE's new commercial partner has announced that the Candidates Tournament will take place in London from October 24 - November 12. 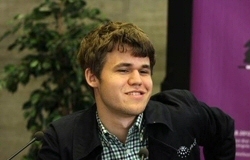 Demolition, not defeat, is the goal of 21-year-old Magnus Carlsen. No, he's not a boxer, not a wrestler. The Bunratty Masters took place 17th - 19th February 2012. Nigel Short, Michael Adams and Gawain Jones finished on 5/6. Keith Arkell and Constantin Istratescu were half a point further back. Andrei Istratescu (defaulted in Rd5), Malcolm Pein and Simon Ansell finished on 4/6. 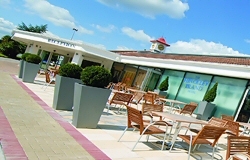 The event took place at Bunratty Castle Hotel with a prize fund of ��5500. To get people in the mood they are streaming a "60 Minutes Rewind" of a report produced in 1972 on the upcoming match between Boris Spassky and challenger Bobby Fischer. Bob Simon's profile of 21-year-old prodigy Magnus Carlsen is this Sunday at 19.00 ET/PT on CBS. We arrived at the southernmost venue in the 4NCL panoply determined, as promised, to show what we could do to ignite our season and begin in earnest the big battle against relegation. 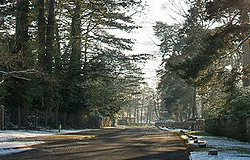 The snow cover gave the grounds of Sunningdale Park a Christmas-card feel on the crisp sunny Saturday morning that awaited us but provided an extra worry for the captains and management of teams such as ours. The 11th Aeroflot Open is taking place in Moscow from February 7 to 15 for the first time in the Cosmos Hotel, which is one of the largest in Moscow. Tourney mode: Open tourney 9 rounds Swiss System. Time control: 100 minutes/40 moves + 50 minutes/20 moves + 15 minutes + 30 seconds/move starting with the first move. Game start: all rounds 12:00 (15:00 local Moscow time). TWIC - IM Malcolm Pein reports further on the exciting news that the FIDE want to hold the Candidates tournament in London. 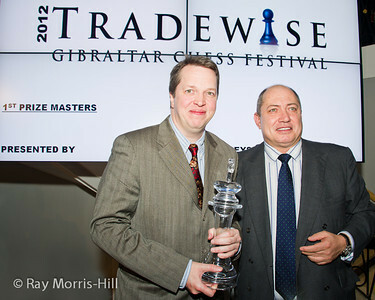 The 10th Tradewise Gibraltar Festival ended yesterday at the Caleta Hotel with England’s Nigel Short winning the tournament for a record third time after tying for first with tournament sensation Hou Yifan of China and then winning a pulsating rapidplay play-off by 1½-½. Short and Hou Yifan had finished on 8/10, with Michael Adams (England), Shakhriyar Mamedyarov (Azerbaijan), Viktor Bologan (Moldova), Emil Sutovsky (Israel) tying for third place on 7½ points. For winning, Nigel Short netted the £20,000 first prize and also the £5,000 special prize (set up in honour of the Queen's diamond jubilee) for the best placed Commonwealth competitor. 17-year-old Hou Yifan takes home £12,000 for finishing second plus the £10,000 women’s prize and the £600 Junior prize. The four players in the next score group shared £26,500 equally. 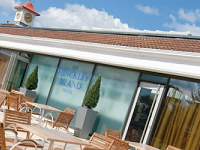 The weekend of 14th-15th January saw the return to Hinckley Island, a venue with warm memories for us for it was here that we clinched promotion to Division 2. TWIC - The January 2012 FIDE Rating list has been released. Magnus Carlsen has opened up a 30 point lead over his closest rivals after picking up points in the Tal Memorial and London. Levon Aronian moves up to 2nd after gaining points in the European Teams and Tal Mem but losing in London. Kramnik more than made up losses at the Tal with his win in London to go 3rd. World Champion Anand drops 12 points to 4th after lacklustre perfomances in both of these events likely to be his last before his World Title match in May ... more.  The Hastings Masters is a traditional nine round accelerated Swiss tournament which took place 28th December 2011 - January 5th 2012. . Other events included a Christmas Tournament, a Weekend Congress and New Year events. The Weekend Open was scrapped because of budget cuts.